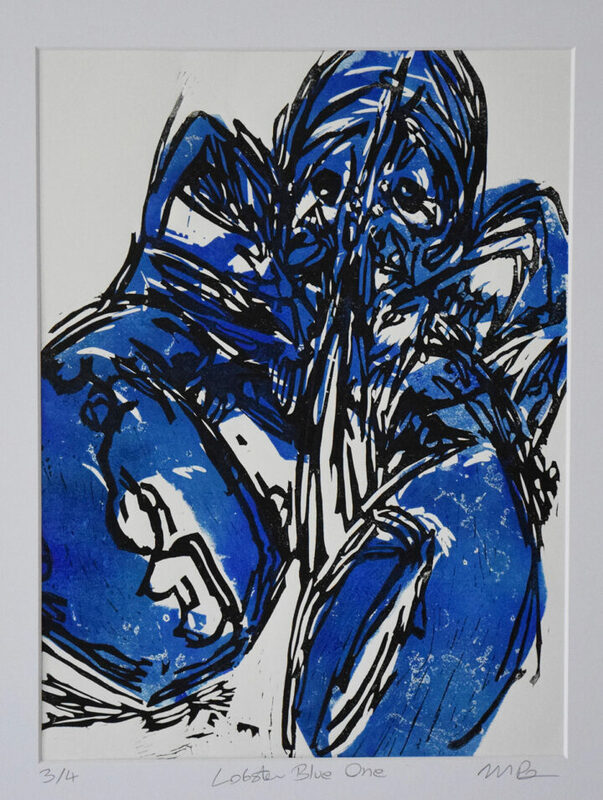 Lobster Blue One, a limited edition lino print of just 4, printed on Zerkall 145gsm paper. Presented in a thick white card mount. External measurements, 40 x 50cm, internal (actual print) measurements, 30 x 40cm.